BY ELVGREN REPLICA ARTIST AND ART PUBLISHER. ONE ONLY AT THIS PROMOTIONAL PRICE! Vanguard exclusive release. Art by Daniel Vancas, who is the Elvgren exclusive replica artist! Fantastic! Stunning! Amazing! Are the words we hear when our gallery visitors see the original painting. This fine art canvas print (apx 20X24 inches) is of the highest quality and most can't tell the difference with the original painting! Enjoy this at a fraction of the cost of the original. Daniel Vancas is a fine artist and fine art publisher of limited editions. Known mostly for his work in pinup, illustration, aviation and automobile art. He was the very first publisher of fine art Elvgren limited editions, and also the very first to commercially offer high quality Elvgren Replica paintings. He promoted Elvgren for 14 years at his own expense of $1,000,000. 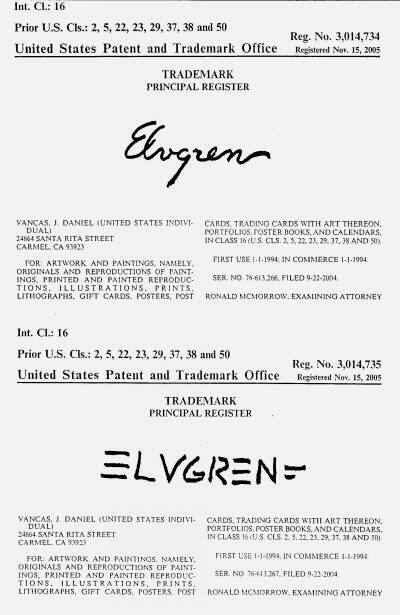 As a proud owner of the Elvgren trademarks, Daniel Vancas has use these marks continual since 1994, 1st issue 1997 and re-issued, final, over 10 year use, Nov.15, 2005. Daniel Vancas is listed as a Vero I.P. Property Rights Owner with E since 2001. His Elvgren TM has been approved and accepted as the separate ownership of Daniel Vancas, as agreed with B&B in permanent and final agreements which were made order and recorded in Federal Court March 2001. Per this order licensee's or their 3rd parties of B&B, such as art dealers, authors, book publishers may NOT disrupt, slander Mr. Vancas art business and/or I.P. (Which includes this auction, slander on his name and products, his lawful trademarks and derivative artist copyrights on apx 130 Elvgren images, paintings, prints etc.) This being said this mark was reconfirmed and re-issued by the Federal Trademark and Patent Office, after they LOST (due to unknown internal loss or theft) Daniel Vancas' 5 year filing and use statement along with a major portion of his original TM files. There was not cancelation of registration for any other reason. Because of his documented confirmations, use and supporting court order, the TM registration was promptly re-issued to Daniel Vancas. 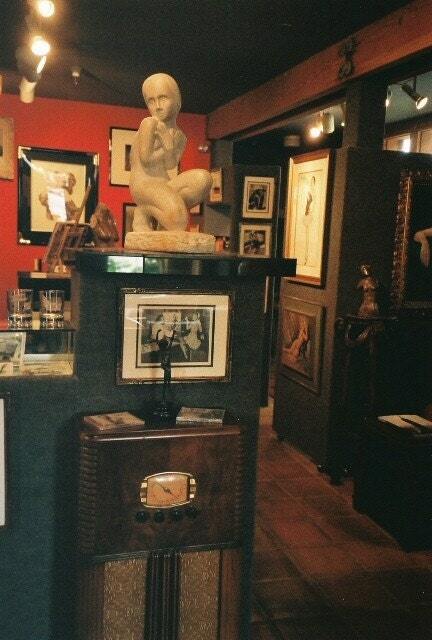 Because of reported and documented long term email and other harassment by mean spirited art dealers and their "friends", Please advise us if anyone contacts you to discourage you in any way, even your interest to buy this beautiful print or original painting lawfully produced by Daniel Vancas, all supported by his Elvgren Intellectual Property, his Trademarks, and his permanent binding agreements. Which include Court Orders and Court Determinations in 2001, 2002 & 2003 confirming Daniel Vancas' authority, rights, ownership, right of ownership and trademark standings and use for over 10 years. All this effort and money spent to support Mr. Vancas' Elvgren I.P. is to support the values for the collectors of these beautiful fine art paintings as well as preserve Mr. Vancas' rights, first efforts, investments and development of the Elvgren pin-up revival started by his hard work and tireless effort. When he started to promote Elvgren 14 years ago, people would ask, who in the world is Elvgren? 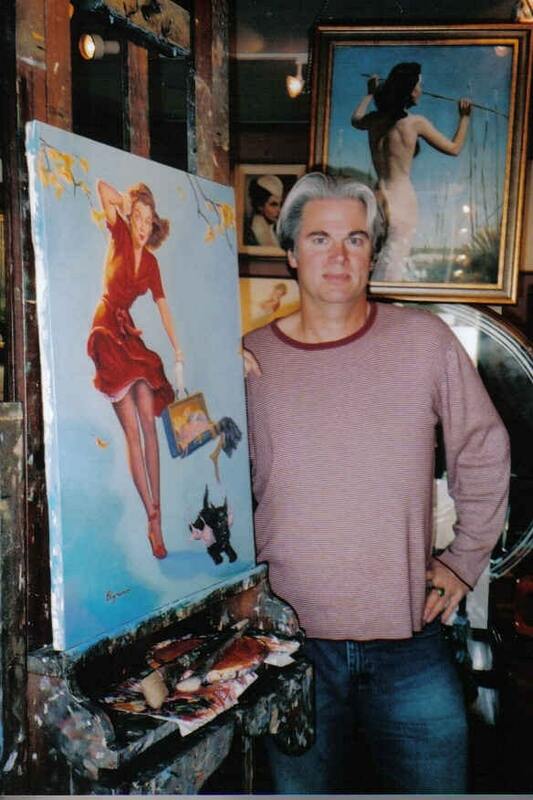 Mr.Vancas has answered that question by devoting a largest part of his artistic effort to demonstrate why Elvgren is one of the great artists of the American 20th century pop art and culture iconic. Not just to confine him to the smaller circle of pinup collectors.